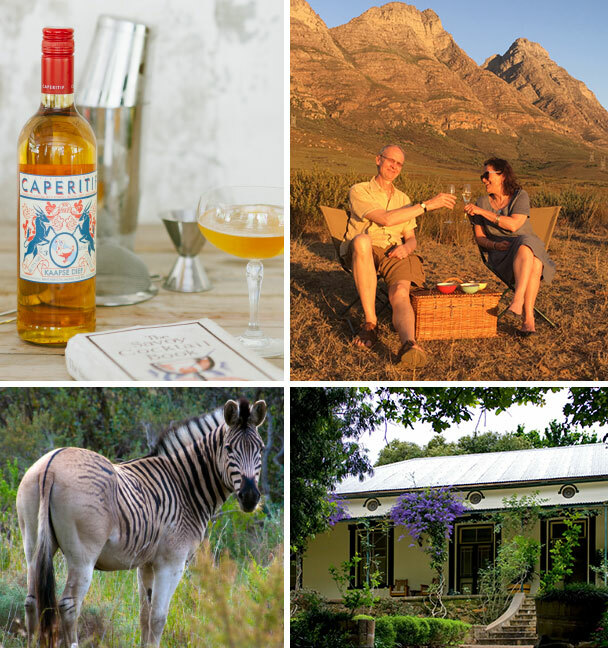 I have been sipping and smiling this summer, on occasion with a Jan Smuts cocktail in hand, reflecting in a slightly gushy sort of way on how pleasing it is that my clients have related such happy stories about their life-enriching safaris across sub-Saharan Africa. The essential ingredient in my cocktail is Caperitif, a type of vermouth that was last made in the Western Cape, South Africa in the 1940s. 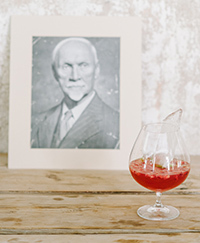 It was a popular drink of the original voortrekkers and had been lost until recently re-concocted by a couple of enterprising people, using the earthy botanicals from the unique fynbos vegetation of Swartland. Caperitif appears often in the Savoy Cocktail book of 1930 and I believe that you can now sample it at the American Bar at the Savoy, London. It is made by the Badenhorst winery that just happens to be pretty close to one of my favourite places in Swartland – Bartholomeus Klip, a sort of soft safari place only ninety minutes from Cape Town Airport and perfect as a first stop on a meandering holiday through the delights of the Western Cape. The Elandsberg nature reserve, an important tract of rare Swartland fynbos landscape, is home to some eight hundred plant species. The highly endangered geometric tortoise as well as the Cape mountain zebra and numerous other antelope may be seen on game drives which take place against the stunning backdrop of the Winterhoek mountains. There is also the intriguing story of the Quagga zebra to be discovered during a visit. The lodge, approached by a long sweeping drive lined by an avenue of wild olives and agapanthus, has an immediate appeal. Chintz has been slung about the six rooms in an imaginative and warm way. Many of the staff have worked here for donkey’s years and the attention to detail is absolute. Magnificent spreads at breakfast and a gourmet feast at dinner, along with walking, cycling, archery, kayaking, all on site, complete the picture. Fully inclusive rates vary according to season from £200-£325 per person. 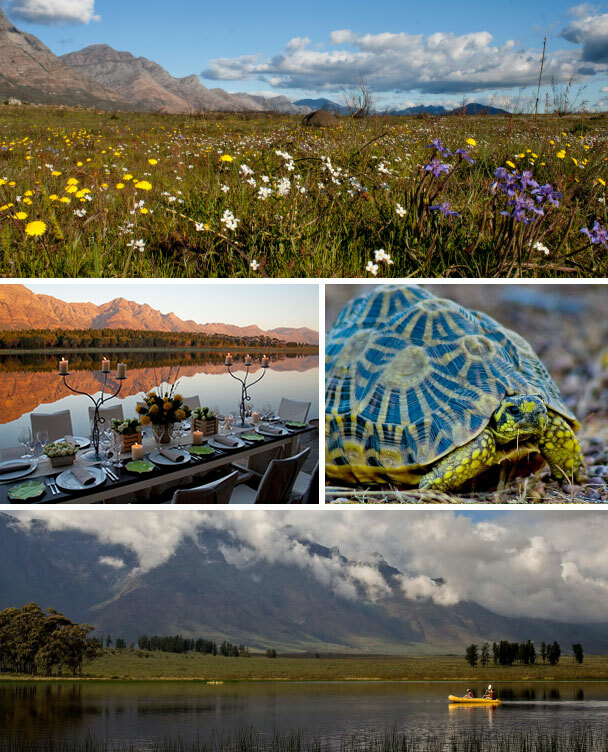 There is so much more to this area than the admittedly exciting city of Cape Town, and I can create a wonderful journey for you off the beaten track. There seems to be no really low season now in South Africa, with its weak currency offering such excellent value for money, but if you are thinking of a winter break early in 2018 there is no time to waste in booking. I know one can look up all these things at the click of a button but just in case you didn’t know, Jan Smuts happened to be born in Swartland. A relatively liberal political leader and president, he lost out to a hard-line Afrikaner government in 1948. Johannesburg Airport was named after him until O R Tambo’s name replaced his, and if he hadn’t died of a stroke in 1993 he might have become the first president of the apartheid-free nation that finally came to power in 1994. The lady sipping the cocktail at Bartholomews Klip in the above picture is Kate Theobald, my business partner.